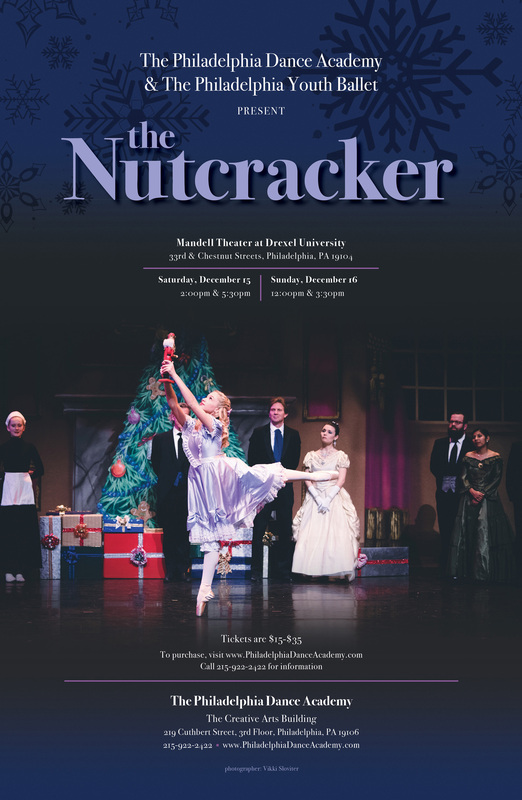 The Philadelphia Dance Academy, now in its 14th season, and its youth performance company, The Philadelphia Youth Ballet, celebrate their 9th annual production of the Nutcracker: the popular ballet that has become a holiday classic throughout the world. Our production of the Nutcracker features performances by Dance Academy students, Youth Ballet members, and professional guest artists. The Philadelphia Dance Academy is located in the heart of Old City and is home to The Philadelphia Youth Ballet. Our goal is to provide professional training in a positive environment for students of all levels.